Tongue diagnosis: The shape, color, coating (or lack thereof) also gives a lot of information as to what is going on in your body. Physical Assessment: This includes testing range of motion as well as palpation at painful areas and also along meridians. Following the intake, treatment will be crafted to meet your specific needs. Chinese Medicine recognizes all beings as unique, therefore your session will likely be different than others you know who also receive treatment. Treatment methods/style will often change as your condition changes. How you feel with treatment also tends to change. Usually, you will feel very relaxed and in tune with yourself. Sometimes you might leave feeling energized; other times you might be ready for a nap and quiet contemplation afterwards. It is best to allow some space for relaxation after a session so you can tune into your body and how it feels different. Following treatment, you will be given recommended follow up instructions. This can include dietary suggestions, exercises/meditation, lifestyle changes, etc. Often it is essential for people to be proactive about their health outside of the clinic. This will play a big role in how fast you achieve wellness. As for the frequency of treatment, it is common to do more frequent sessions at the beginning, then to taper off as health goals are achieved. If it becomes evident that your needs aren’t fully or best met here, you will gladly be given a referral to another fantastic practitioner. Acupuncture is one of the “pillars” or modalities of Chinese Medicine, along with Herbology, Tuina and T’ai Chi/ Qi Gong. 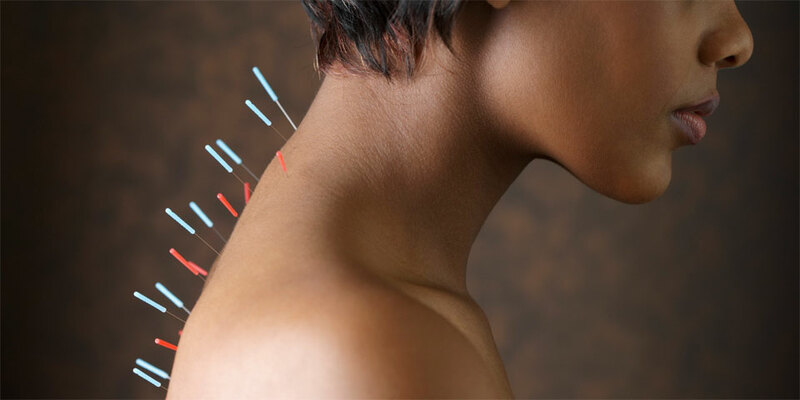 Acupuncture involves the use of thin, sterile stainless steel needles on specific acupuncture points along the body to generate balance. Science has yet to completely detail how acupuncture works, but MRI studies have shown that placing needles in different areas of the body will cause different regions of the brain to activate, thus showing a definite relation to neurological regulation. There is also a lot of similarity between the fascial layers of the body and meridian lines. In terms of Chinese Medicine, we place acupuncture needles along meridian pathways. These serve as a network of communication so the organs, body parts, blood vessels and nervous system can all communicate. When these meridians flow unimpeded, our bodies are in a state of health; we feel comfort in our bodies, digestion works well, immune function is optimal and we have adequate energy for our tasks and are able to switch to rest/relaxation with ease. Meridian flow is impeded in state of illness. When meridians are not balanced, all aspects of your health can be affected. This can cause pain, low energy, stress, emotional disturbance, digestive orders, menstrual disorders, etc. Acupuncture can be used as a stand alone treatment. It can also be combined with Tuina, Herbs or Essential Oils. 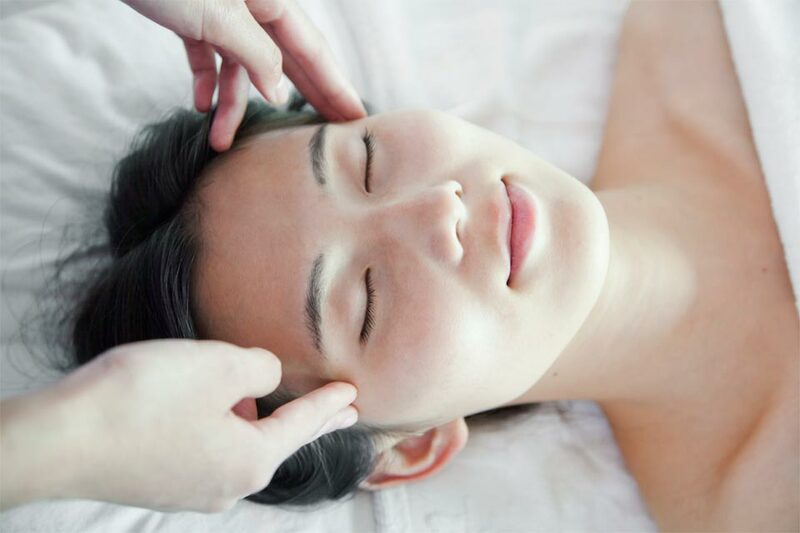 Most patients will receive some acupressure or Tuina to go along with their Acupuncture session. Herbs and Oils are incorporated if it is deemed appropriate for your individual case. Cupping and Guasha are adjunctive therapies commonly employed during an acupuncture/tuina session. They commonly help to treat issues regarding pain, common colds, and stiffness of the body. They both work by restoring circulation and helping to detoxify the body. Cupping works by creating suction. The skin, through vacuum suction, is pulled up by the cups. This allows for toxins and stagnant blood flow to come up to the surface. Clearing these stagnations allows the tissues to heal, and proper function is restored. While Guasha has similar functions, the procedure is different. Oil is rubbed on the skin. The guasha instrument is a smooth surface that you scrape over the oil protected skin. You can often tell that toxins and blood come to the surface as the skin can be affected by this. It can look purple, or red with spots in areas where pathology was stored. The discoloration will fade over the next one to seven days. 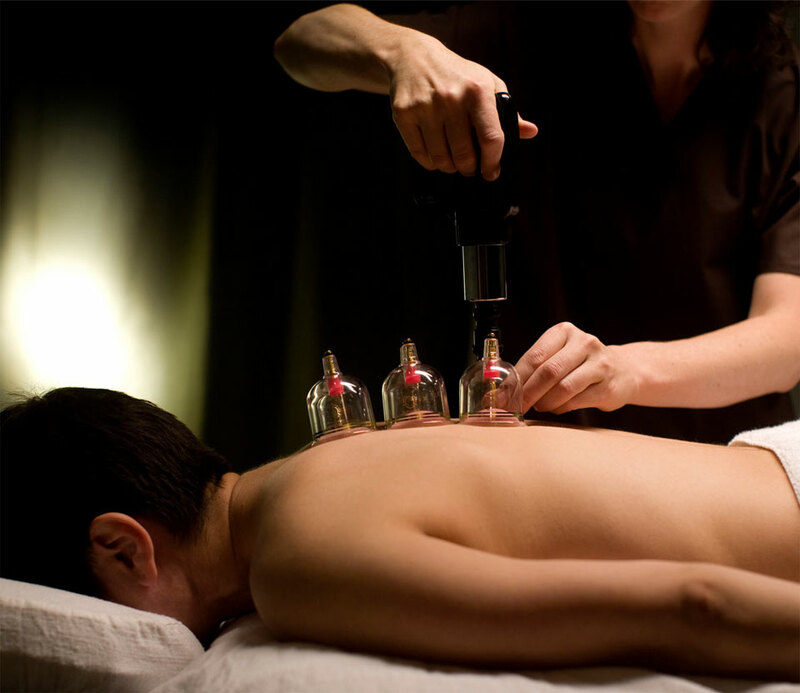 Cupping and Guasha are very powerful for treating pain and other conditions. It is an indispensible part of an acupuncture/acupressure/Tuina treatment that often provides immediate relief. Tuina is a Chinese form of bodywork similar to massage. 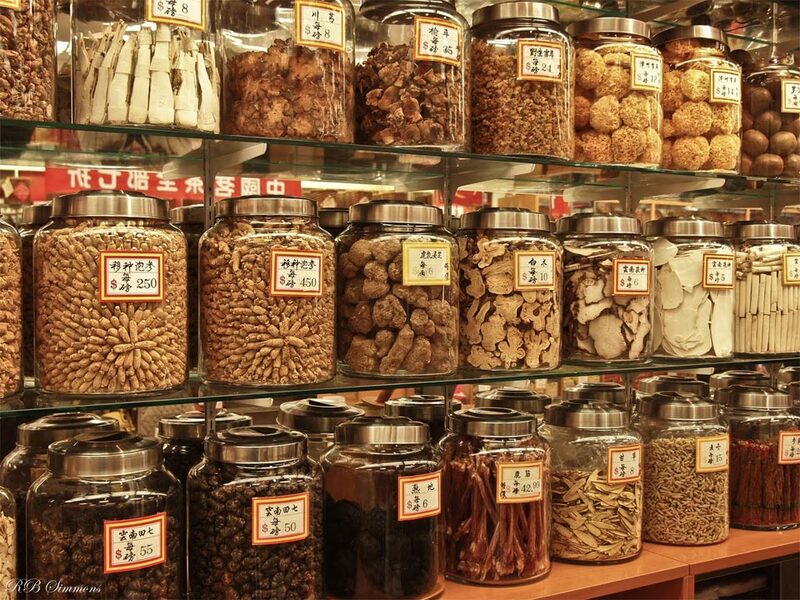 Tuina is one of the root forms of Chinese Medicine; it has been practiced for thousands of years. It incorporates theories of meridian flow and acupressures to treatment strategies, which makes the range of use and effectiveness quite broad. Tuina uses a lot of stretches and acupressure techniques. 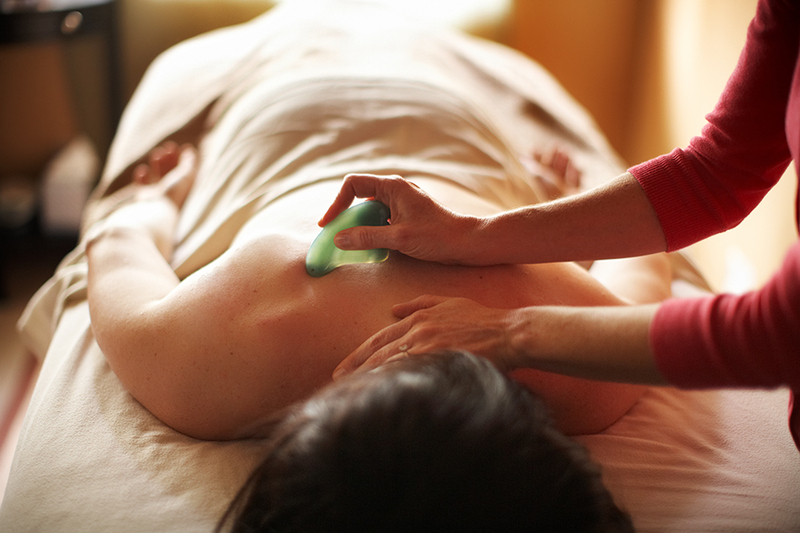 It can be either a quite invigorating experience (like deep tissue), or can be gentle and relaxing. As always, it depends on the needs of you, the patient. 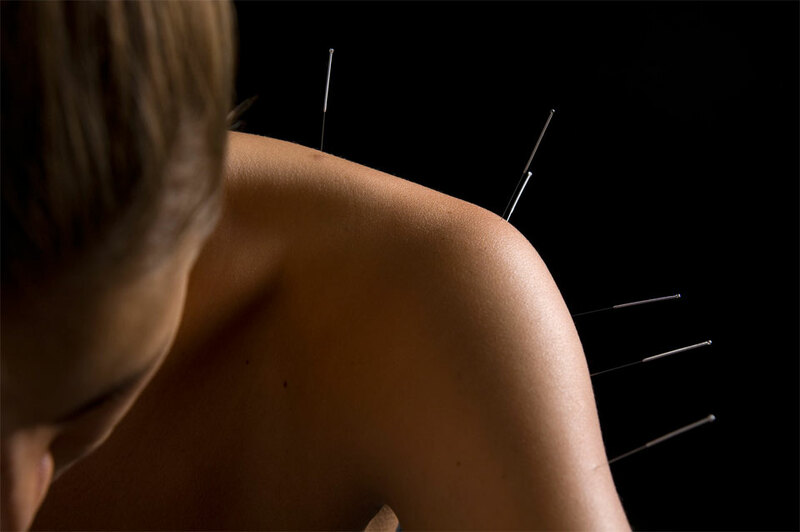 Within the practice of the Healing Way, Tuina is often done in adjunct with acupuncture sessions. It can also be done as a stand alone treatment for those who prefer no needles. For those who prefer to not take off clothes, Tuina is performed often and well over loose clothing. Herbology is a powerful way to promote healing. Herbs are almost always given in a formula (usually containing 3-15 herbs) tailored to each patients unique needs. There are over 300 herbs in the Materia Medica and hundreds of classic formulations to base prescriptions on. This allows for all aspects of your health to be addressed each time you come in for treatment. Herbs come in a variety of forms. There are tinctures and tablets available for common conditions. For more complex conditions, taking raw herbs or the powdered extract of them is usually advised (which are taken as a liquid/tea). This way, your formula can be modified on a regular basis as your condition changes. This is a very precise form of medicine; it’s one of the most comprehensive forms of supplementation available. All herbs used in the Healing Way clinic are pesticide and preservative free. Only the highest grade herbs available are used. Essential Oils are incredible. They immediately impact the nervous system when you inhale them and they have numerous therapeutic benefits when they penetrate the skin. Essential Oils are created by extracting the oil from various parts of plants (tree barks, leaves, peels of fruit, roots, etc). The part that is extracted contains not only incredible fragrance, but the genetic imprint of all the potential that plant has to offer. 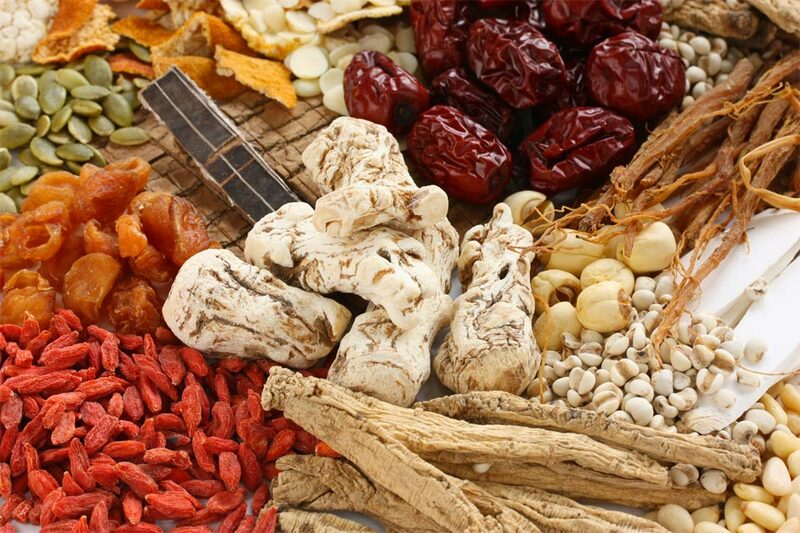 They are powerful healing herbal agents. Essential Oil Therapy refers to application of the oils directly to Acupressure points. The work can be done in office as part of your treatment or you can be given some oils (usually a blend of 3-4 oils) to take home for self therapy between sessions. 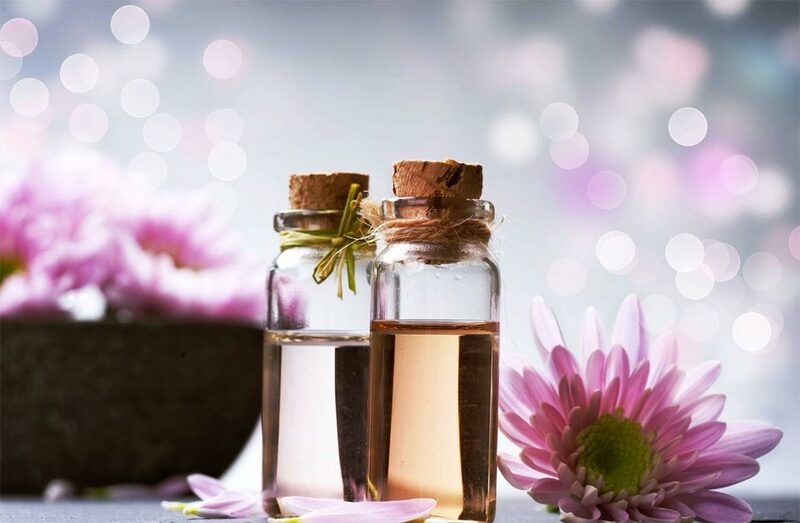 You’ll be given directions as to where to apply the oils and can essentially give yourself treatments each day; this can be a great adjunct to home meditation/healing practices. Essential Oil therapy is a great modality for those with sensitive stomachs that don’t like taking herbs or supplements. Different oils resonate with different meridians; you get to bypass the stomach and go straight to the meridian/organ you are targeting to heal. 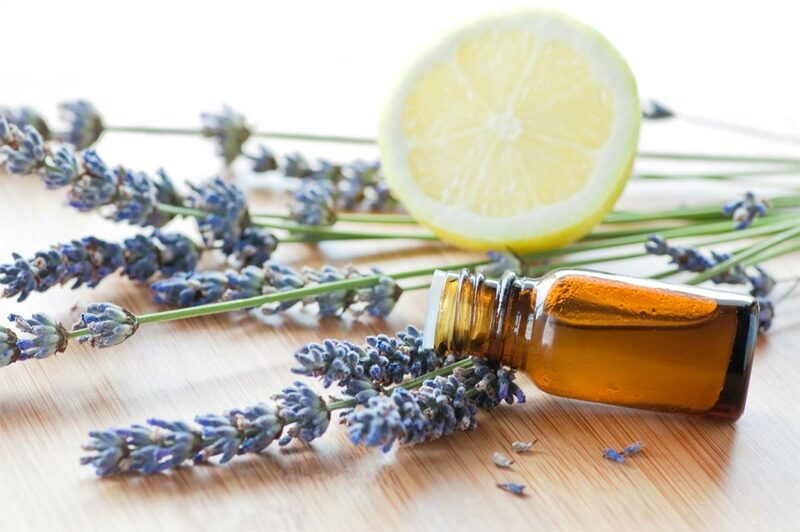 As the genetic imprint of the plant, essential oils also have a profound effect on the deepest aspects of your body’s workings.